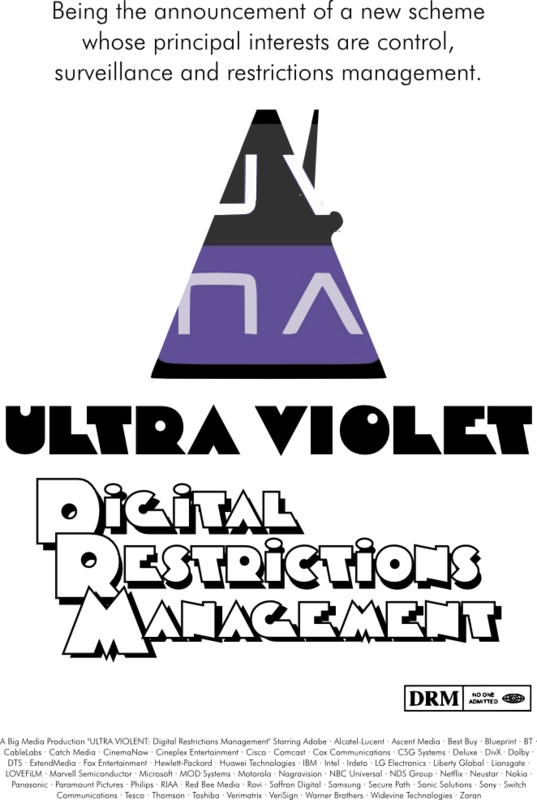 Throughout the relatively short history of Digital Restrictions Management, we have seen various methods of user restriction come and go. Now, there is a new threat on the horizon: UltraViolet. 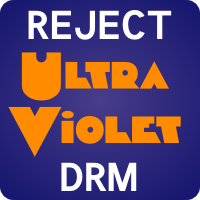 A soon to be implemented DRM scheme, UltraViolet -- or should that be Ultraviolent -- is a joint effort between companies such as Sony, Adobe, Cisco, HP, Microsoft and Intel. What seperates UltraViolet apart from other types of DRM is its use of "the cloud." 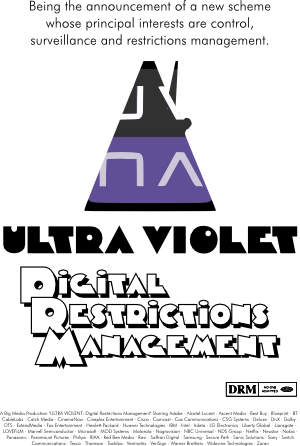 Whereas most other DRM schemes are implemented locally, UltraViolet intends to store the digital media you purchase on a centralized server with the goal of preventing users from storing their digital media on unauthorized devices, sharing and making copies. We at Defective By Design view this as a major threat to the right of people to have control of their digital media. That is why today we are announcing a new action targeted towards companies involved with UltraViolet. We ask you to reject any piece of hardware or software that is encoumbered with UltraViolet DRM and to further show your rejection of this dangerous new technology, please sign our pact. The fight against UltraViolet and other forms of DRM does not end with rejection of DRM -- we need to actively promote this action in any way possible. Some ways you can help include customizing your email signature to show your rejection of UltraViolet, writing a blog post and getting the word out to your friends on social networking websites. Add these buttons to your website/blog to help spread the message.